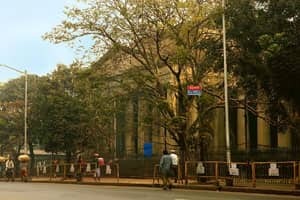 Kolkata: The proposed restoration of Kolkata’s 186-year-old mint into India’s first currency museum has run into rough weather within weeks of a formal launch by home minister P. Chidambaram because of a flyover that a local civic body wants to build in front of it. Under the build-operate-and-transfer, or BOT, contract awarded three months ago to a consortium led by Eden, the real estate developer was to turn the mint into a museum and build a large commercial complex, an open air theatre and a 100-room upscale hotel on the land around it, and run them for 30 years. Construction of the 12.5-acre property in the heart of the city was to be completed by 2012. “A flyover like the one being proposed at present would mean the only view from the windows of the hotel would be that of construction… We might then have to revisit the viability of having a hotel there, or think of some change in the usage pattern," said De. But the Kolkata Metropolitan Development Authority, or KMDA, says it’s impossible to move the flyover. “There’s no question of shifting the flyover. It’s a priority... The heritage project is welcome but not at the cost of the flyover," said Ashok Bhattacharya, West Bengal’s minister for urban development. Edens and its two American partners—D&F Construction Group Inc. and EE&K Architects—were discussing the proposed redevelopment of the mint with potential lenders such as banks until the state’s urban affairs department ruled out making any changes to the flyover. They have now requested the Securities Printing and Minting Corp. of India Ltd (SPMC), the union finance ministry controlled company that runs mints in India, to persuade the state’s urban development department to reconsider the issue. “It could have become one of the best known landmarks in Kolkata," said De, who said the Eden-led consortium had been so excited about the project that it had spurned the SPMC’s offer for “viability gap" funding of Rs40 crore. “Both the projects (the flyover and restoration of the mint) are critical… We have to arrive at a win-win solution," added De.